LAHORE: The Lahore High Court on Thursday dismissed applications seeking to register a treason case against former prime minister Nawaz Sharif. 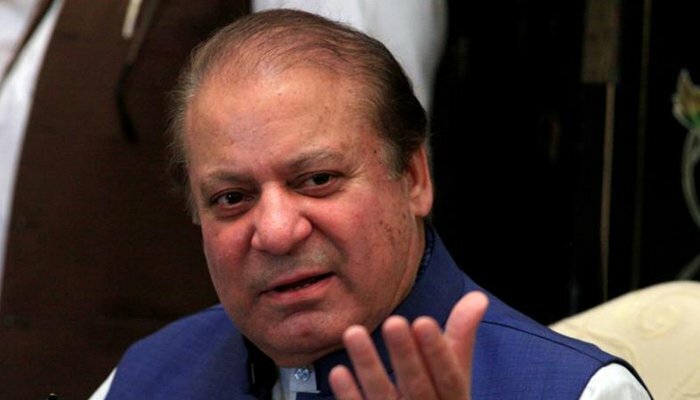 The applications were filed by Pakistani Awami Tehreek (PAT) and others over Sharif's comments about Mumbai terror attacks in an interview with an English daily on May 12. PAT leader Khurra Gandapur on May 14 moved the application in the LHC, stating that Nawaz Sharif's statement about Mumbai attack was tantamount to treason. He had prayed the court that a case under treason charges be lodged against the ousted prime minister. According to Geo News, the court asked the applicants to approach the relevant forum first. On the other hand another application was filed in the Islamabad High Court. Declaring the plea inadmissible, the court has sought response from the Director General Federal Investigation Agency (FIA), Chairman Pakistan Electronic Media Regulatory Authority (PEMRA) and the Pakistan Tele Communication Authority (PTA).